Most St. John’s wort supplements require taking 2-3 tablets or capsules daily. But when the days are challenging, sticking with a multi-dose regimen can be tough. In fact, many people with more than one dose per day only take about 50 percent of the recommended amount. The best, most consistent results are seen with 900 mg of St. John’s wort per day. When that dosage is split up—as it is in many St. John’s wort supplements—it’s easy to forget to take them all. If pregnant or nursing, or taking MAO inhibitors or other medication, consult with a healthcare practitioner before using. Other Ingredients:microcrystalline cellulose, coating (hydroxypropyl methylcellulose, triacetin, titanium dioxide, turmeric) croscarmellose sodium, silica, stearic acid, vegetable source magnesium stearate. Recommendations:1 tablet daily in morning. Results improve with continued use. If pregnant or nursing, or taking MAO inhibitors, or other medications, consult a healthcare practitioner before using. Why does this tablet have a coating? The coating makes the tablet easier to swallow and minimizes the odor of St. John’s wort, which some people find unpleasant. Does St. John’s wort cause sun sensitivity? 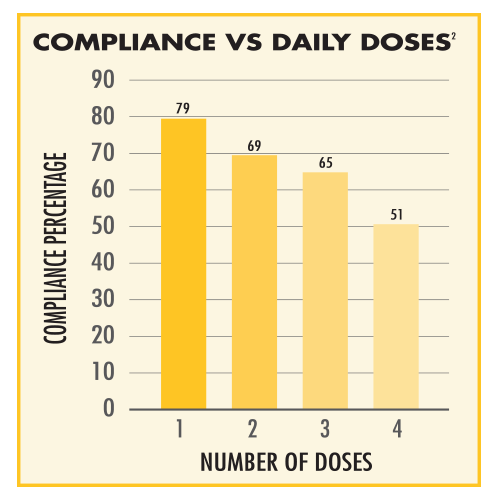 Sun sensitivity has been noted in some, but not all, clinical trials of St. John’s wort, but generally only at doses that went above the recognized 900 mg daily levels and even then, only rarely. In fact, clinical studies using doses as high as 1800 mg did not show a photosensitive effect. St. John’s wort is not recommended for women who are pregnant or nursing.